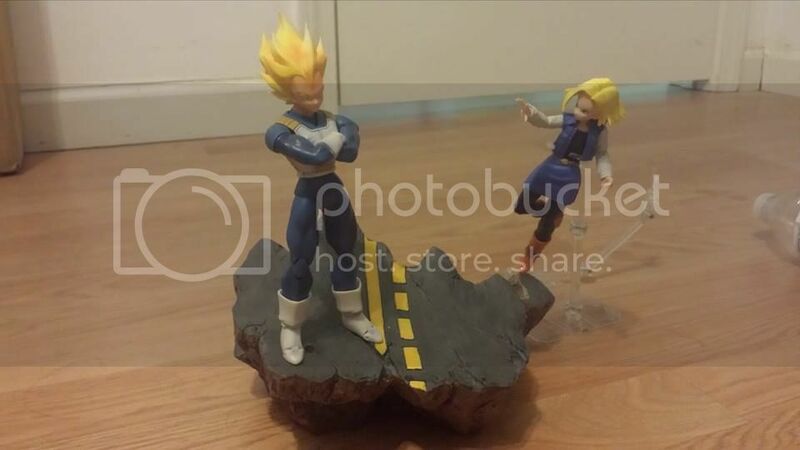 Hello guys i was wondering how many people would be interested in small- medium sized diorama bases for figuarts? These dioramas would be made in references of specific scenes through out the anime. For example part of cells ring,over 9,000 crater,or vegeta vs 18 road etc. If i see there is interest i will begin making these and throwing them on ebay and on here. If the demand grows i will dedicate time to cast them instead of hand making all of them for faster production. what do you guys think? here is an example of something similar to my idea. I posted it here for people who dont visit the custom section to see. I definitely like it. 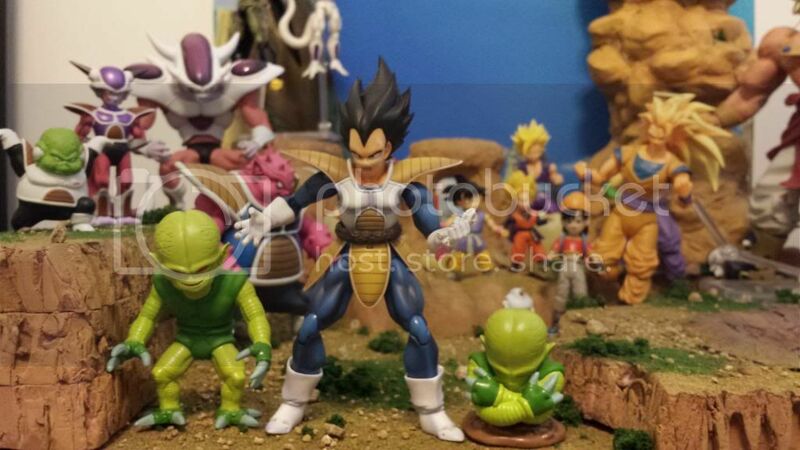 Tamashii has shown off something similar in a previous display, but hasn't actually come out and offered anything like it for sale as of yet for this line. If you can make a creator for Yamcha i'm all in!! Otherwise I gotta bake a pie and preserve it!! Lol why would you want that? 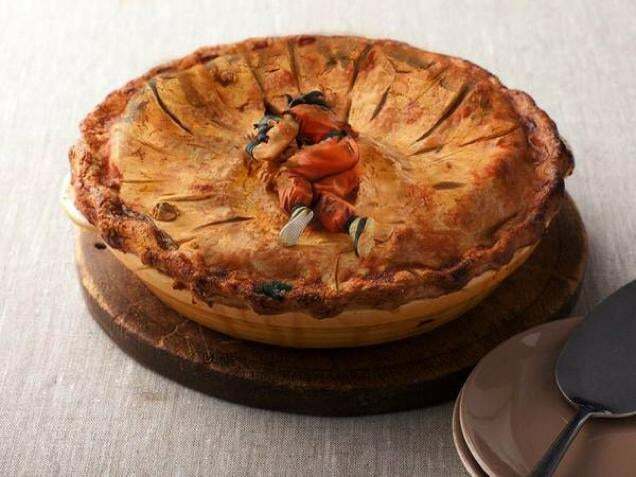 there is no yamcha to place there . It would be the over 9,000 crater. Well I mean, it is coming. I toyed with trying to use Buyee for it, but people are doubling the price of the figure through that. What do you mean its coming? what were you trying to buy from buyee? didnt know they had a figure of him dead lol does it scale with figuartS? We also need some scale Saibamen!! Something like this would be amazing! these are in scale, and yea i can make those type of craters. lol if i see enough interest i will make a second pole for designs types and do them in the order of the poll. i1071.photobucket.com/albums/u506/Jose_Rosell/saibaman2_zps888227f6.jpg" src="http://www.taghobby.com/wp-content/uploads/2015/04/6651.jpg"] these are in scale, and yea i can make those type of craters. lol if i see enough interest i will make a second pole for designs types and do them in the order of the poll. I guess the first question would be how much would it cost. Say for example if you were commissioned for a production quantity of 10? Most definitely keen on something like this. Over 9000 crater for sure, definitely a cell ring, even that road piece looks cool and might even persuade me to set that scene up even though I hadn't planned to. Something cool for a Frieza v Awakened Goku would also be a hot seller I'm sure. I don't really have the room in my display for things like this, but I'd love to see you make them. Also, I'm sure loads of people would be interested in them as long as they are of good quality and not excessively expensive. for starters i will definitely have a namek piece and cell piece. Cool! Another idea which should be relatively simple and probably seemingly a bit dull would be the floor of the hyperbolic time chamber, while the simplest route would be to just go plain white, I think it would look pretty cool if you could get just the right shade, almost give a kinda pearlescent white look to it. thats a very very good idea! Hey, sorry for all the crap I caused with this on Sideshow, I'm done over there. 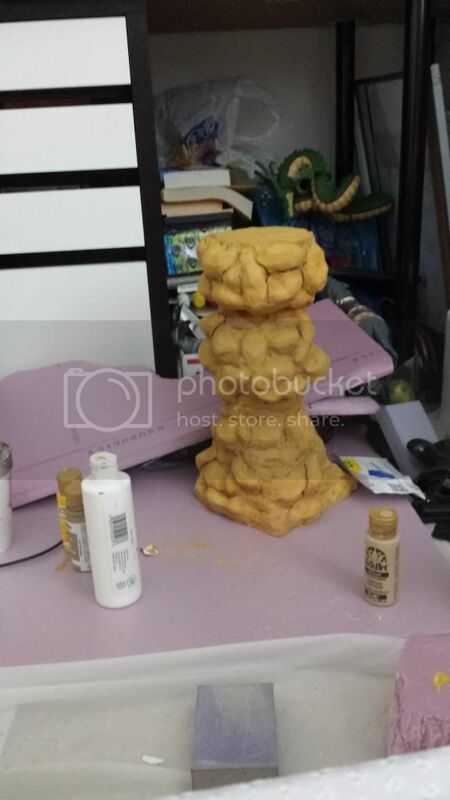 So you aren't intending to produce yours out of molds, but rather with a foam base?